Welcome back to another Financial Panther side hustle report! 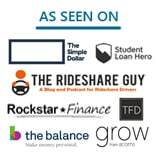 For new readers, each month, I document exactly what I earned from side hustling using various sharing economy and gig economy apps. I’ve been tracking all of my side hustle income since 2016, so if you’re interested, be sure to check out my past side hustle reports to see how my side hustle income has evolved over time. One of the things I’ve learned from writing these reports is how consistency really matters. People often think that sharing economy and gig economy apps don’t take any skill – and admittedly, that’s true to an extent. Anyone can go walk dogs and deliver food – these aren’t hard jobs to do. However, like with anything in life, you just tend to get better and more efficient at certain skills as you do them more. Over the years, I’ve just gotten better at doing all of these gigs. And in the process, I’ve also figured out the systems and processes that make these gigs work out really well for me and my lifestyle. That didn’t happen overnight. The important thing to remember is that, when you start out, you’re probably not going to be as good at doing these gigs or understanding how to do these gigs as I am. It takes a little bit of time to learn what you’re doing. Keep with it! Eventually, it’ll just become second nature. March turned out to be another great side hustle month, made easier by the fact that the weather was looking a lot better in March compared to the weather we had in February. Mind you, it was still weather most people would consider cold. But when you live in Minnesota, “cold” has a bit of a different meaning. For the month, I ended up making over $2,900 from 12 different income sources. For the most part, I seem to always bring in income from between 10 and 15 income sources each month. That makes things more complicated for sure. But there’s a lot of comfort in knowing that I have a lot of ways to bring in income. It makes me feel invincible in a way! March was a pretty busy month on the Airbnb front, although we didn’t make as much as it seemed like we should have given the number of guests we hosted. We ended the month with 20 nights booked at an average nightly rate of about $48 per night. That ends up to around 2 to 2.5 times what the average nightly rate would be with a traditional roommate. I think that’s pretty good – we can make the same amount in 14 days as we’d make from having a full-time roommate. Even though it was a busy Airbnb month, it actually didn’t feel all that busy since our guests mainly kept to themselves and were busy with their own events, basically only coming to our house to sleep. We even had one guest who booked our spare room and didn’t sleep at our house at all during his trip, opting instead to sleep at his daughter’s apartment. We essentially got paid to store his luggage for two days. As usual, since we’re close to a large university, the bulk of our guests were in town for student-related events. March, in particular, seems to have a lot of admitted students events, as we hosted a lot of newly admitted grad students that were in town to visit the university. Right now, I’m trying to take advantage of house hacking with Airbnb simply because of where my wife and I currently are at this stage in our lives. We’re both young and pretty flexible with how we live, which makes this sort of house hacking work out very well. At some point, we’ll probably have kids and other obligations that make Airbnb hosting much harder, so I think it’s important for us to take advantage of this now while we still can. If you have extra space and want to earn extra income from your home, you can sign up to be an Airbnb host using my referral link. Airbnb is also one of the most affordable ways to travel. If you’ve never used Airbnb, sign up for Airbnb with my link and you’ll get $40 off your first stay. As usual, Rover remained consistent, bringing in some income without requiring very much work. 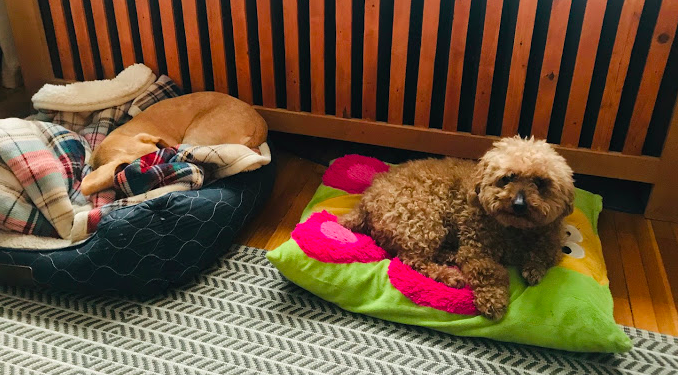 We hosted two repeat guest pups – a Yorkie that we watched last Thanksgiving and a Toy Poodle that we’ve been watching regularly for the past two years. If you look closely, you might just be able to see Financial Pup tucked into her blankets. March was also an interesting Rover month because we watched our first Rover cat. I actually didn’t even know I had my Rover listing set for cats, but I guess I did because I received a request to catsit for four days. For whatever reason, my cat rate is set really low – only $15 per night – but cats really don’t take much work, so it wasn’t too bad. To be honest, I’ve never really understood cats. When this cat arrived, he hid under a chair in our living room for about 24 hours before finally coming out randomly the next night. 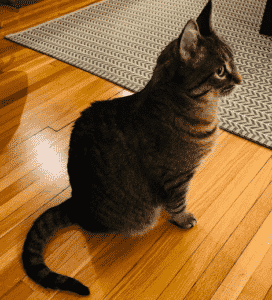 He then spent the rest of the week either rolling around on the ground, sitting on a chair in our office, or sleeping under the kitchen sink (this cat was smart and could paw the kitchen sink door open – something that Financial Pup, thankfully, cannot do). I’m assuming that catsitting is not going to be a regular occurrence, but dogsitting will be. Dogsitting can be a really low-stress and fun side hustle, and if you already have a dog, it’s something that can very easily be incorporated into your life. If you feel like supporting this blog, you can sign up to be a dogsitter on Rover using my referral link. I’ve really been killing it lately in the delivery game, basically averaging $30 or more per hour doing deliveries on my bike. 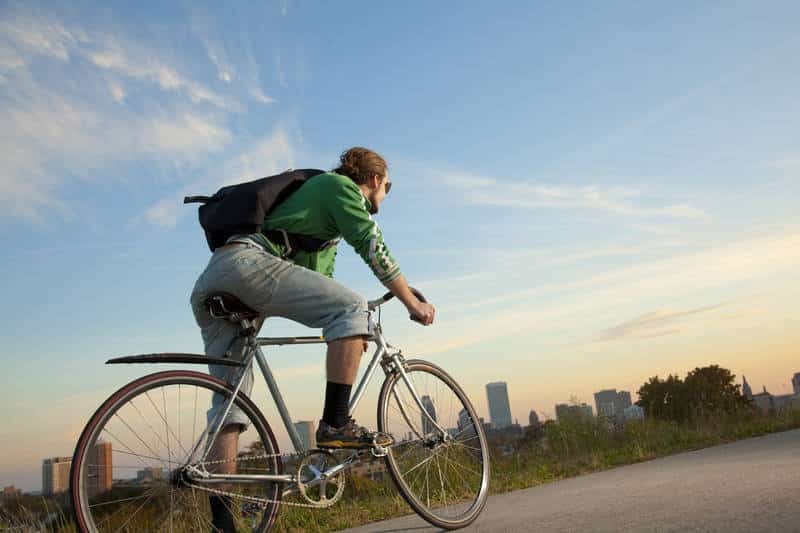 There’s a ton of advantages to doing deliveries on a bike and it’s something that I think everyone should consider trying out at least once. When you think about it, I basically get paid to exercise, have almost zero operational costs beyond whatever the tiny cost is of operating a bike, and I provide an external societal benefit by removing a car that would otherwise be on the road delivering food. DoorDash and Amazon Flex were particularly lucrative for me in March, as DoorDash was offering huge delivery bonuses for most of the month, while Amazon Flex always seems to randomly pay well. I pretty much just use Postmates these days to fill in gaps. And I don’t do Uber Eats much these days since they seem to have gotten rid of bonuses in Minnesota and I hate the fact that Uber Eats won’t show me the delivery drop off location until after I’ve picked up the order. These apps will differ in value based on where you live. In some cities, other apps might be better. My recommendation is to sign up for every delivery app available in your city, then just try them all out until you figure out which ones work best for you. I expect my bike delivery income is going to level out soon since the bonuses typically stop (or are greatly reduced) when the warm weather hits. On the plus side, I won’t have to bike in the cold and snow anymore soon! Wag is one of those apps that I think compliments the bike delivery game pretty well. I can essentially bike around doing deliveries, then walk dogs on Wag when things slow down or when I just feel like switching things up. 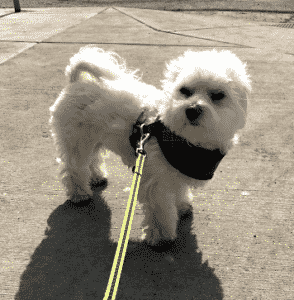 And like doing bike deliveries, doing Wag walks is basically a way for me to get paid to exercise. I recently started working out of an office downtown (more on that in a future post), which makes doing Wag walks a lot easier. There are just a ton of walks available in my downtown area, and since most people seem to drive, it means that a lot of walks in the downtown area get ignored since there isn’t a lot of parking during the day. That makes things a lot easier for me since I’m biking and don’t even have to worry about parking. I’ve written an in-depth post about Wag and my experience with it. Be sure to check out that post if you’re looking for more info about my experience with Wag. This category has evolved a bit over the past few months. Back when I first started these side hustle reports, I only included trash finds – i.e. stuff I found in the trash that I then sold on eBay or locally through Craigslist, Facebook Marketplace, and other similar apps. In addition to selling trash finds, I now also do a little reselling – that is, buying things at thrift stores and then reselling them for a higher price on eBay. I source the majority of my items from Goodwill and Goodwill Outlet, mainly stopping by them when I happen to be near a store. This past month, my wife and I also spent a decent amount of time doing some spring cleaning, so this month’s figure also includes random personal stuff that we sold around the house. While not really assets, many of us do have thousands of dollars worth of stuff in our house that can be sold for cash if needed. And trust me, more stuff than you think can be sold. Unless you’re really desperate to get rid of stuff, I think you should always try to sell it first – if you put the price low enough, someone will eventually buy it. The monopoly pieces I sold are worth discussing. I bought a Monopoly Deluxe board game at Goodwill for $2 and I’ve been reselling the individual pieces on eBay. So far, I’ve sold the houses for $5 and the player tokens for $7. I still have the cards and the money, as well as other game pieces unique to the Monopoly Deluxe edition of the game that should eventually sell for $15 or more. So, for the $2 investment, I’m looking to bring in $27 or so. Not a bad return on investment at all. 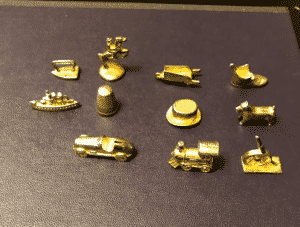 These Monopoly pieces sold for $7 – more than I spent on buying the entire game. Note that the income I’ve listed here is my gross revenue, minus the fees that eBay charges me when I make a sale. To make things easier to read, I’ve rounded these figures to whole numbers. Thus, the numbers in this section are not pure profit, as I have to later subtract my cost of goods (which generally are not very high). I had a big month with Job Spotter. In fact, I think this was my highest earning Job Spotter month so far. Read my in-depth review on Job Spotter if you’re looking for more info about how the app works and why you should download it. I seriously think this is a no-brainer app for everyone. I continue to use these picture taking apps to bring in a little extra income in most months. To recap, these apps are essentially secret shopper type apps where you’re tasked with taking pictures of certain sections or items in a store. These aren’t super lucrative apps, but they can have some value when you use them correctly. I basically only do these apps when I’m passing by a store that has a gig available. After doing these gigs for years, I’ve also been able to learn which types of these gigs are worth doing. For the most part, most Gigwalk and Field Agent gigs are worth doing. EasyShift and Merchandiser gigs require a little bit of experience to learn which ones are worth doing and which should be ignored. Merchandiser especially requires some strategy, as a lot of the gigs on that app require interacting with store managers, which is something I will not do. I’ll only do Merchandiser gigs that do not require interaction with anyone. I also did a secret shop restaurant gig with my wife through BestMark. The gig reimbursed us $50 for our meal at a good restaurant downtown. I haven’t included this in the earnings for this month, but it’s worth noting. I’m always cool with getting free food. WeGoLook has been a steady source of income for me lately, and definitely worth doing so long as you don’t have to travel far to complete the gigs. The vast majority of the WeGoLook gigs I do are vehicle inspection and scene inspection gigs. For a vehicle inspection gig, I simply take photos of a car that’s been in an accident. This type of gig only takes me 10 minutes or so to complete and typically pays me somewhere between $18 and $20. The only hassle with this gig is setting up a time to meet with the vehicle owner. I usually can send a text to the owner and schedule a time to meet, but it can sometimes be a pain to reach the owner. And sometimes I can’t reach them at all and then have to cancel the gig. Scene inspection gigs are the best gigs to do. These just involve going to an intersection and taking photos of the intersection for the insurance report. These gigs only take me a few minutes to complete and are always worth doing if they’re nearby. One huge gig I completed in March was a vehicle inspection gig where I was paid $40 to take a few pictures of a car. I have no idea why it paid so much, but that was a gig that was definitely worth doing. I’ve been using ProductTube for a few months now and it’s an app that I think is worth using. The gigs on this app only take about 5 minutes to complete and typically pay $10 to $25, which makes it well worth my time. The only weird part is that the gigs involve recording yourself as you walk through the store. So, if you use this app, you have to be comfortable with basically talking to yourself while you’re walking through a store. I have no problem with people thinking I’m crazy, which is why I use this app. 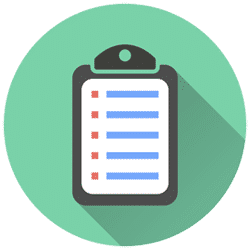 These short survey apps continue to be worth doing mainly because they take up so little time – only a few seconds for most surveys. You won’t get rich from these apps, but it’s pretty much free money that you can earn while you’re walking around. Google Opinion Rewards is definitely the best of the bunch and one that everyone should have on their phone. I ended up making $6.44 from this app in March. Since I moved to my downtown office, I’ve been getting a lot more questions from this app. They basically track your location and ask you questions based on where you’ve been. 1Q is sort of a dumb app, but I keep it on my phone because of how little work it takes. You get paid a quarter to answer a question. I typically get 1-4 questions per month to answer. In March, I answered 1 question and got paid a quarter for it. Surveys On The Go is an app I recently discovered that I also think is worth using. The surveys don’t take long to complete, and interestingly, they pay you 10 cents even if you don’t qualify for the survey. Honestly, I usually prefer to not qualify for the surveys, since earning the 10 cents only takes a few seconds, whereas the higher paying surveys generally take a few minutes to complete. I ended up making $10.71 from Surveys On The Go in March. Based on my experience with this app so far, I think I could realistically earn $10 per month from using this app. I won’t get rich, but that’s $120 over the course of the year without really having to do anything. For people who have read past side hustle reports, you may notice that I’ve removed Dabbl from this list. That app has now gotten to the point where it’s basically a rip off to use, so I’ve deleted it from my phone. If you have that app, I’d recommend doing the same. Every once in a while, I use Shopkick to earn a few points that I can redeem for Starbucks gift cards. This app gives you points for scanning certain products at grocery stores and convenience stores. It’s not worth going out of the way to do this, but if you happen to be in the store, it’s easy enough to just scan stuff as you pass by. I ended up finally earning enough points in March and cashed out my points for a $5 Starbucks gift card. I don’t do these a ton, but if I’m shopping, I’ll sometimes whip out my phone and scan a few things. I’m not the biggest fan of doing long surveys, but every few months, I’ll get some random surveys that I think are worth doing. One of the surveys I did this month was a LexisNexis survey about my experience using Lexis Advance. That one paid me $10 and only took a few minutes of my time. I’ve been doing these random Lexis surveys even when I was in biglaw. I also did a 30-minute research study for a student loan refinancing company. I initially thought I was targeted for the survey since I was a former customer, but apparently, I was actually targeted because I clicked on a Facebook ad. Weird! This research study paid me $25 and required me to do a 30-minute phone call with the company. Making the equivalent of $50 an hour isn’t too shabby – I’ll definitely take that. And that concludes the March 2019 Side Hustle Report! One of the amazing things about doing these gigs is that I really feel like it sets me up with a pretty good income floor. Most months, $2,000 or so is enough for me to basically cover all of my bills, which means that I can basically support my lifestyle just by doing these gigs. There’s a lot of freedom in having all of these gigs as a backup option in my life. I hope this report was helpful to you. As always, be sure to check out my side hustle report page if you’re interested in seeing what I’ve made in past months. This money adds up! If you have any questions, feel free to hit me up. Stay hustling out there everyone! 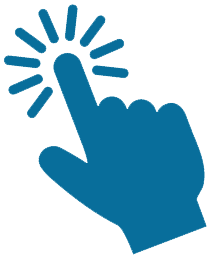 Hi – nice job on generating so much side hustle income. When do you plan to include your blog income into your side hustle income? Or will your blog be your full hustle income in 2019 if everything goes accounting to plan? Good question – and it’s one I’ve been tackling for a while. Right now, I still haven’t paid myself any from the blog, opting instead to invest it all back in the form of ads and whatever else the blog needs. I’m still debating about whether to share those numbers, because I know people are curious and honestly, I kind of want to share those numbers too. I’m just debating whether I should do it on the blog, or maybe do it as a quarterly email or something. Have you thought about donating Plasma for a side hustle. Our local place just had a special for 8 donations in April pays $500. Any other month can pay up to $90/week. Maximum 2 sessions. At only an hour a session, easy work for $45/hr. Ah, I’m way too fearful and cowardly to do that. I’m glad you added Shopkick! This is one of my favorites. Sometimes the item I need to scan is facing with the UPC showing so this could be from someone else doing Shopkick. I once ran into a couple guys scanning at Walmart. Shopkick recently added Paypal as an option which makes it more motivating to me. I’ve cashed out several times to PayPal for $25 each. It’s not for everyone, but I think it’s a good one to recommend. Thanks Heide. I’ve actually had Shopkick on my phone for a while now, but just never used it very often. Didn’t even realize they had a PayPal cashout option! Personally, I’m not that interested in FP’s blog income. I actually enjoy the side hustle reports for what they are using largely apps thru the gig economy. Ths is what orginally caught and still has my interest – I love these little jobs that I can do when and how I want and when they’re done, all that’s left is to count the dollars. I would think blog income is a very different thing, like asking FP to disclose his lawyer income. My vote (if I were to have such a thing) is that the blog income is off topic. By the way, FP, appreciate the new apps discussed this month: Surveys On the Go and Shopkick. The Surveys On the Go looks promising as a relatively low time cost app. The Shopkick app looks like a nice complement to EasyShift, FieldAgent, GigWalk and JobSpotter jobs on my way to and from work or during lunch going into stores I’m going into anyway. Shopkick looks similar to Inbox Dollars, which while I’m not a great fan of their surveys and other stuff, they do pay me 5 cents every time I go by or into stores like Target or Walmart. So I just let that accumulate and do one of their surveys once in a great while ONLY IF it is higher dollar for time spent. I’m up to $36 with them over ~8 months, nothing to jump up and shout about but on the other hand, it’s free money. Thanks and appreciate your thoughts as well. I’ve held off on posting blog income mainly because it’s just such a completely different beast compared to the gig stuff I do, and my point of these posts initially was just to show what a regular person doing pretty regular things could earn on the side. I feel like maybe the best way to balance these is a quarterly income report in an email, while keeping these side hustle reports here on the blog. I just have to actually do that now. Surveys on the go seems promising so far, not even sure how I found it, but it’s easy enough to do while I’m just standing around. I just tested Shopkick at Walmart for fun. My takeaway: low value for time spent. But, if I am at the store with my wife, I can go get a few things off the shopping list and scan a few products OR if I’m there for another gig. For me, 3 keys to do this: 1) I’m near a category of products wanted for scanning, 2) I’m familiar with the products in that section and 3) I’m not pressed for time. Also, if I normally buy something they are looking for, then that looks like a good thing on the receipts side. I do wonder about their business model, how does Shopkick monetize product barcode scans? I have the same view about Shopkick. I will basically only do it if I’m already in the store and I know where the things I need to scan are. So like, for example, my regular Walgreens that I go to, I know where everything is, so I’ll scan things there. Same with my regular Target. Definitely do not go out of your way to scan stuff, is the big takeaway. How much time does all of this take you? On top of working a stressful job 50 hrs a week but still making it to the gym 4x a week, I feel like I’d have to work another 10-20hrs a week to earn as much as you do from side income. I know you use cycling deliveries as your exercise so that saves time since you don’t need to go to the gym….but really, how much time does all of this take and how do you make time for it, especially as a lawyer. You previously got a lower stress job, correct? How much time do you spend working your day job? Is it a 9-5 with reasonable work/life that makes it possible to do all this side gig work? That’s a good question and definitely the thing that trips people up the most. The key with most of my side hustles is that they’re pretty easy to incorporate into my life. Airbnb takes up very little of my time since I’ve automated all of my messages, I have a lockbox so people can check themselves in, and I finally went ahead and got a robot vacuum, which basically eliminated all of that time I used to spend vacuuming. Rover takes up no time since I already have a dog that I have to take care of. I’ve been doing Rover for so long that I also now have a good base of repeat dogs that mesh very well with my life. Postmates, Doordash, Uber Eats, and other delivery apps are used as a form of exercise and I also use it as a way to monetize my commute home. I basically try to pick and choose deliveries that are going on my way home. I typically try to do an hour of deliveries on my way home, so basically turning my 15-minute bike ride home into a 1-hour bike ride home. I typically do Wag during my lunch hour. This is time I’d either be working or sitting at my desk eating lunch and scrolling on the internet. Honestly, I prefer spending my lunch hour walking outside. Here’s my thought that I think is very realistic for most people, especially if you’re a millennial with a lot more time on your hands than you think. If you can average about $20 per hour (which is why I can easily average), and do 1 hour of gig work each day, that’s an extra $100 per week, or $400 per month. Once you start adding a few hours each week, you’ll see it’s possible to add more into your week. 2 hours on a Saturday biking around isn’t hard to do. Maybe add in another 2 hours on a Sunday. 50 hours per month at 20 dollars an hour comes out to an extra $1000 a month. Also, do you get a W-2 from all of your side hustle jobs? All of my side hustles are done as an independent contractor, so it’s basically like I’m my own business. As a result, I get a 1099, which means I’m required to pay my own taxes on everything. Hey – I really like these reports. Keep it up. I agree with the blog income comment. It would be great to see the numbers, even if tiny or loss making. I don’t think my own blog gets enough visitors to generate any income, so I’m always curious to see how other people do in this regard and how their blog stats look like. Call me a noisy Parker! Never heard of it. I’ll look into that app. You’ve elevated the art of Side Hustles to a new level. I love it! I enjoy reading through your Side Hustle Reports. Nice job. My most lucrative side hustle is also my Airbnb business. I have mostly hardwood floors but I do have a couple of large area rugs. After reading through your post, I’m considering purchasing a robot vacuum as well to eliminate some of my self cleaning. Thanks for the suggestion on Job Spotter. I think I’ll be able to add that one to my list of Side Hustles. Job Spotter is definitely a no-brainer. And for sure, I think the robo vacuum is worth it. I splurged and got the Roborock S5, which has been worth every penny so far. Use it for your Airbnb and its a business expense too! I just stumbled upon this blog and I’m glad I did! It gives me a lot of hope to pay down my debt and it’s super encouraging to see someone else do it! Thanks! Glad the blog is helpful. Let me know if there’s anything I can do to help.